We tend to approach conflict from the perspective of competing interests. A farmer’s interest lies in preserving water for crops, while an environmentalist’s interest is in using that same water for instream habitats. It’s hard to see how these interests intersect. But what if there was a different way to understand each party’s needs? What approach or system of understanding could possibly untangle all these complexities? Wolf’s answer may be surprising to Westerners who are accustomed to separating religion from science, rationality from spirituality. 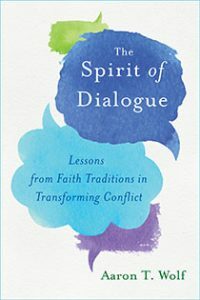 In the Spirit of Dialogue, Wolf draws lessons from a diversity of faith traditions to transform conflict. True listening, as practiced by Buddhist monks, as opposed to the “active listening” advocated by many mediators, can be the key to calming a colleague’s anger. America has never felt more divided. But in the midst of all the acrimony comes one of the most promising movements in our country’s history. People of all races, faiths, and political persuasions are coming together to restore America’s natural wealth: its ability to produce healthy foods. 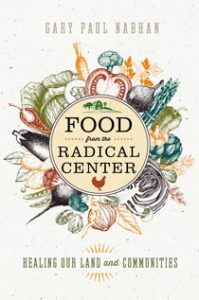 In Food from the Radical Center, Gary Nabhan tells the stories of diverse communities who are getting their hands dirty and bringing back North America’s unique fare: bison, sturgeon, camas lilies, ancient grains, turkeys, and more. These efforts have united people from the left and right, rural and urban, faith-based and science-based, in game-changing collaborations. Today less than 2 percent of farms are controlled by black people—a loss of over 14 million acres and the result of discrimination and dispossession. While farm management is among the whitest of professions, farm labor is predominantly brown and exploited, and people of color disproportionately live in “food apartheid” neighborhoods and suffer from diet-related illness. The system is built on stolen land and stolen labor and needs a redesign. 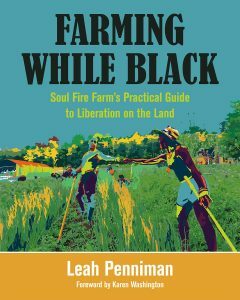 Farming While Black is the first comprehensive “how to” guide for aspiring African-heritage growers to reclaim their dignity as agriculturists and for all farmers to understand the distinct, technical contributions of African-heritage people to sustainable agriculture. Originated in the Netherlands, Sociocracy is a consent-based governance that allows everyone in the group equal voice and power through circular, rather than linear, hierarchy. 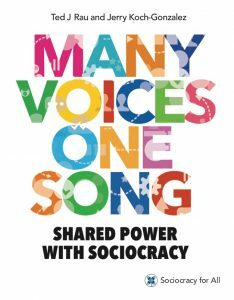 Many Voices One Song is a detailed manual for implementing Sociocracy, also known as dynamic governance. It includes step-by-step descriptions for structuring organizations and decision-making as well as illustrated diagrams & tables, examples, lists, skits, and stories from the field. You can not only read but see how this process works and get started putting it into practice. 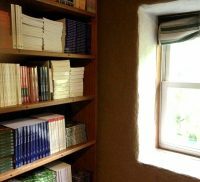 When recent Harvard grad Helen Zuman moved to Zendik Farm in 1999, she was thrilled to discover that the Zendiks used go-betweens to arrange sexual assignations, or “dates,” in cozy shacks just big enough for a double bed and a nightstand. Here, it seemed, she could learn an honest version of the mating dance – and form a union free of “Deathculture” lies. No one spoke the truth: Arol, the Farm’s matriarch, crushed any love that threatened her hold on her followers’ hearts. An intimate look at a transformative cult journey, Mating in Captivity shows how stories can trap us and free us, how miracles rise out of crisis, how coercion feeds on forsaken self-trust. As a completion to the 4 Keys for Sustainable Communities Everywhere on the Planet series, a 5th Key has been developed to demonstrate the 20 best practice designs for ecovillages. 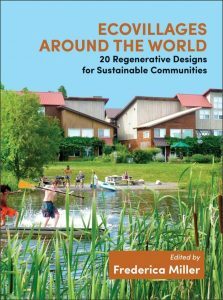 Ecovillages Around the World includes more than 300 full-color photographs and diagrams and features well-established ecovillages such as Findhorn in Scotland, Auroville in India and newer initiatives such as Hua Tao in China. It also highlights the unique features of each project and their solutions to the global social and environmental challenges that confront us. 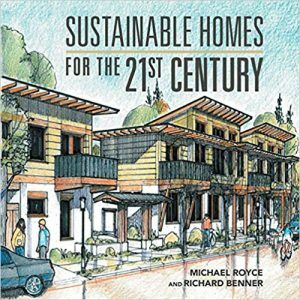 Sustainable Homes for the 21st Century tells the story of the development of Ankeny Row, a community with six energy-efficient homes in Portland, Oregon. Follow the journey from the inception of a dream to the planning, development, engineering, documents, and finally building of an aging-in-place community the authors and their wives had hoped for. This inspiring book chronicles the journey through the authors’ personal narrative and is accompanied by many color images of the process. The authors discuss their energy efficient cohousing community design choices, and they chart their energy use post-build, to reflect on what they could have or would have done differently. Okay, okay, it is not a book but it’s even better! It’s an actual board game! People are the most vital component of community food forests, but while we know more than ever about how to design food forests, the ways in which to best organize and lead groups of people involved with these projects has received relatively little attention. 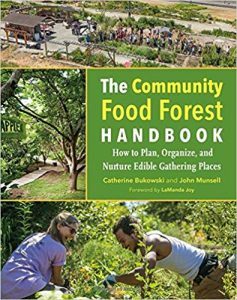 In The Community Food Forest Handbook, Catherine Bukowski and John Munsell dive into the civic aspects of community food forests, drawing on observations, group meetings, and interviews at over 20 projects across the country and their own experience creating and managing a food forest. They combine the stories and strategies gathered during their research with concepts of community development and project management to outline steps for creating lasting public food forests that positively impact communities. 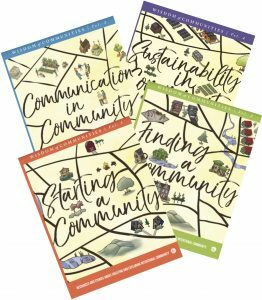 A series of 4 books in one, Wisdom of Communities is a collection of lessons learned throughout the 40+ years of published Communities magazine. This series is intended to aid community founders, seekers, current communitarians, students, and researchers alike in their explorations. Each book is over 300 pages and features over 100 of our best articles. Volumes can be purchases separately or discounted as a set. 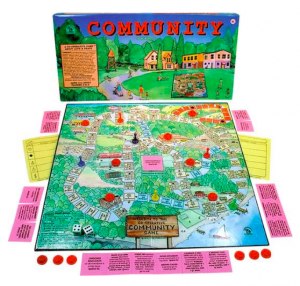 Titles include: Starting a Community; Finding a Community; Communication in Community; Sustainability in Community. All are available at the FIC online Communities Bookstore. See the full list at the Recently Added category page. You can also check out what’s on sale at the Sales category page.